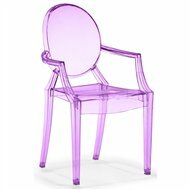 Radiant Orchid: The NEW Pantone Color Of The Year! 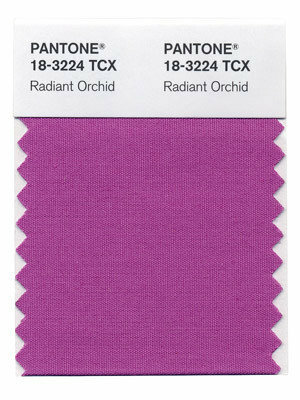 ≈ Comments Off on Radiant Orchid: The NEW Pantone Color Of The Year! BREAKING NEWS! 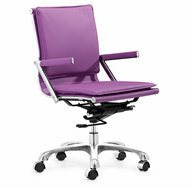 The new Pantone color of the year has been announced and it is RADIANT ORCHID. 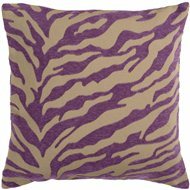 Yes.. suddenly Emerald, the 2013 Pantone color is old news and Radiant Orchid is the new “it” color. 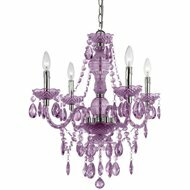 From the runway to home decor, be prepared to see Radiant Orchid everywhere. See the quote below to see what the folks at Pantone had to say about their color selection. 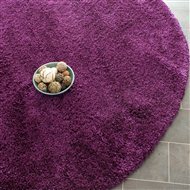 Curious about how to bring Radiant Orchid into your home?? From chairs to chandeliers, you won’t have a problem! MY TOP TEN PANTONE PIECES! 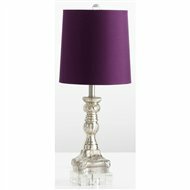 I love the silver detailing of this lamp as well as the touch of Hollywood glam! With rich cut velvet detailing, this is pure luxury! This would look so fab in my living room. I must have it! What I love about this chandelier is that just like a great black dress, you can dress it up or dress it down! 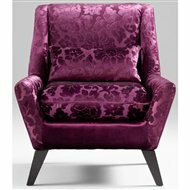 These chairs look fabulous in any room. From the dining room to a kid’s room, these chairs are a wonderful way to add a burst of color! 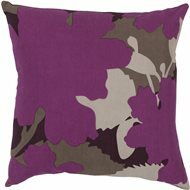 Toss pillows are such an easy way to change the look of any piece of furniture. In case you missed it.. shag is making a comeback! Shag comes in lots of color, so why not Radiant Orchid! This pouf is such a wonderful place to rest. 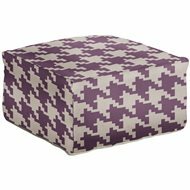 Replace a traditional ottoman with this amazing radiant orchid, houndstooth pouf. Let’s face it an office chair isn’t the sexiest piece of furniture. They typically come in colors like black and white but why not spice it up a bit with this gorgeous number. Accessories to me always “make” the room. 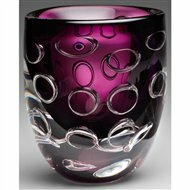 This vase will add the perfect final touch to any space. Remember like 10 years ago when everyone was wearing camouflage? Well I have to say I believe this pillow totally works without being trendy!